Sometimes in my dreams I fall from a height, spinning across galaxies, passing through tunnels of light, experiencing inexplicable joy. Is this caused by a memory that has been embedded in my genes? Did human beings arrive on earth from a distant place? Are we made of stardust? Is there anyone like us out there in the cosmos? Such questions often trouble me. While in school, cosmology was one section in science in which I always scored full marks. Even today, I devour any article/video that talks about the universe. Today is Thursday and it also happens to be my birthday. This #ThankfulThursday, the event that I am thankful for is my birth on earth, this tiny blue dot, as a human being. We are the only species gifted with the capability to think. One who can imagine different worlds and that too I am born in an era which has seen enormous scientific advances! With every significant leap that science takes, humanity hopes to solve the biggest of mysteries. Where do we come from? Where do we go? We are nowhere near the answer yet. But isn’t it enough to be grateful for this life, this moment, this birth? When we feel one with the cosmos, all the petty fights, the ego clashes; everything become immaterial. Even the earth we reside is an insignificant tiny blue dot when we consider the entire cosmos. Isn’t this profound? If we can think this way, there wouldn’t be any conflicts in our world. 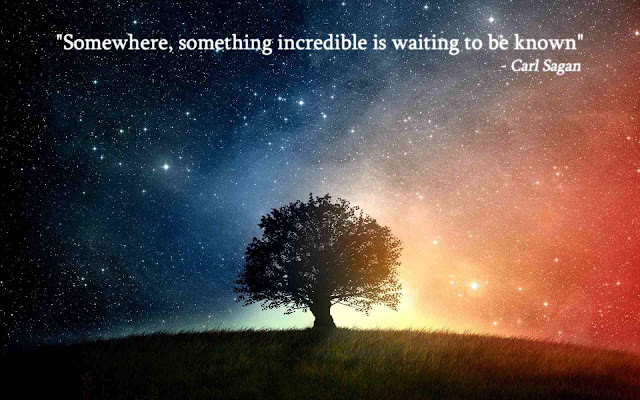 Being born on this beautiful planet as an intelligent being is in itself a miracle. Shouldn’t we be thankful for it? This next quote explains how similar we are even though we belong to different races, continents, and nationalities. Do pick up the book Cosmos by Carl Sagan where Sagan reveals the jewel-like blue world inhabited by us. Love ,love ,love the post.We are made of starstuff!I have to ask your permission and borrow this term (with due credit) You really coined the term of the year. Yes we are blessed to be thinking humans. 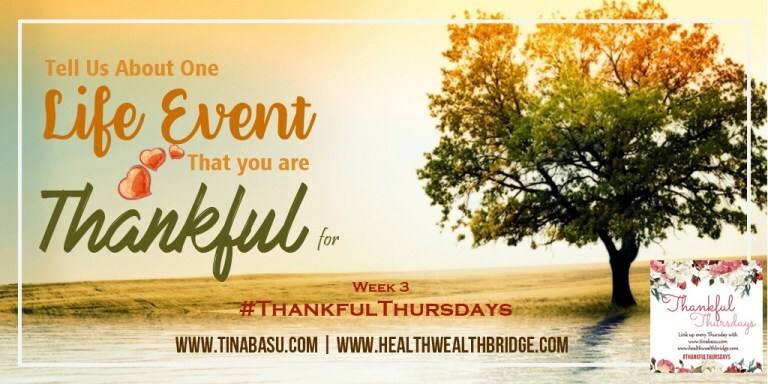 Stay blessed.Thanks for being a part of #ThankfulThursday .We have nice plans coming up soon to help blogger friends who are joining us .Keep writing and reading cosmos stuff. Doesn't his words send a tingle down our spines? So profound I am finding the book and loving every word. That is very thoughtful Preethi. I go by the motto Live. Let Live. We are merely tiny humans in this galaxy. No place for ego and negativity.